Architectural details on buildings in Auckland, New Zealand. April, 2015. 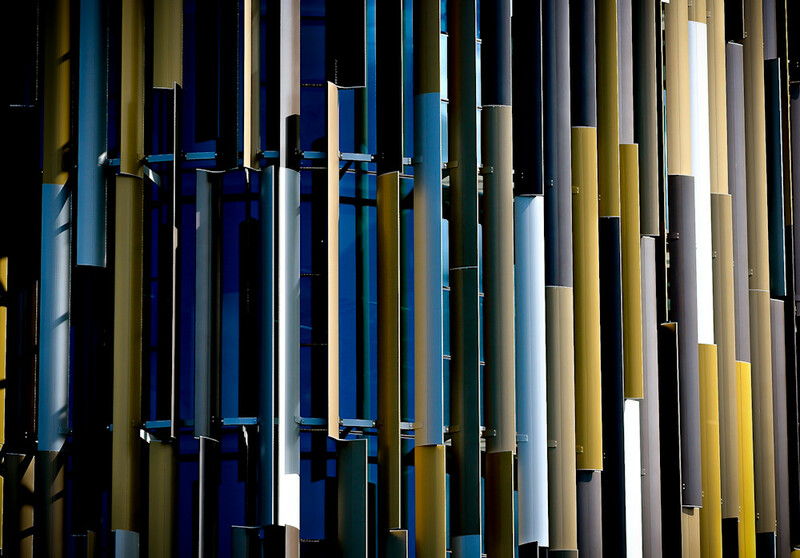 Contrast of strong vertical lines with colored steel in the afternoon light and shadow.